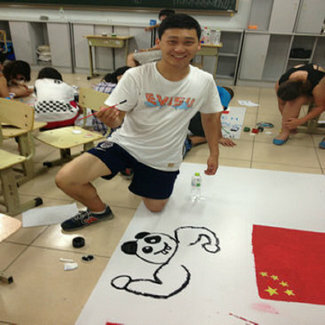 Beijing No.80 High School co-hosted "2014 Beijing International Students Summer Camp." with the Beijing Municipal Commission of Education and Beijing International Education Exchange Center. There were nearly 900 international students and teachers participated in, and they were from 24 countries, Canada, Russia, the United States, Britain, Turkey, Australia, Germany, India, Kazakhstan and etc. 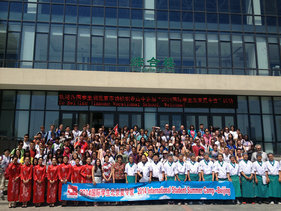 Our school selected 18 teachers and students to attend the summer camp activities, including the "calligraphy and painting houses", "music dance studio", "folk manual Square," "Sports Games Room", "Creative Workshop", "intelligence Games Room, " and so on. 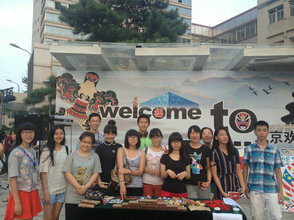 Our teachers and students introduced Chinese culture and guided campers making Chinese knot, painting masks. 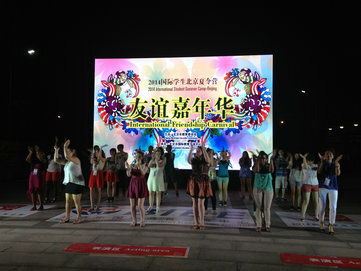 Through distinctive features, content-rich theme activities, international students not only learned about the characteristics of the modern China, but also felt the charm of traditional culture, By comparing the learning of Chinese and foreign cultures, Chinese students can understand the culture and customs of other countries in the world at the same time, and gained a global perspective of mind.